Come out and enjoy riding the trails of the Moose Jaw River valley. The ride is approximately 90 minutes long. Quick = quick release levers are closed. Riding the trails of the Moose Jaw river valley. Your ideal bike choice is a cross-country trail bike. Other "mountain bikes" will work as well. Expect a 90-minute ride, effort will be made to avoid trails that are still soft and wet. Do an ABC-Quick check of your bike. 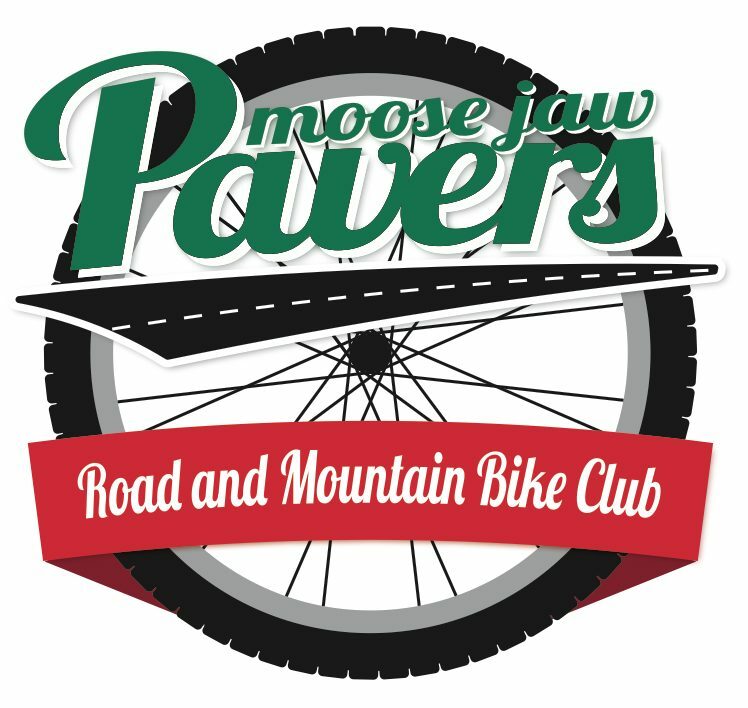 Moose Jaw Pavers is now hosting a recreation ride for fitness, education, community, nature appreciation, and just plain fun. The weekly trail ride, led by an experienced rider, is offered in and around Wakamow Valley with the chance to do occasional rides at Buffalo Pound Provincial Park Trails. The 60-90 minute ride takes place in the Spring, Summer, and Fall and is focused on the beginner rider, but suitable for all levels with options to shorten or lengthen the ride depending on fitness. All ride participants are required to wear a helmet, bring water, snacks, and a bike in good working order. A mountain bike is ideal for the ride but a hybrid will also be suitable. All ability and fitness levels are invited to come out to discover trails, learn biking tips, and have fun. If you aren’t sure if you fit in, come out and try a ride. While this is a club ride and the insurance requires the majority of the participants be members,, we can accommodate some non-members each ride to try it out. Simply complete the non-member waiver and bring it with you. You can participate in up to 3 club rides per year. We are sure you will be hooked and will want to join the Pavers. The first ride will be on Monday April 15th @ 915. Meeting at the bottom of 7th Avenue. If you have any questions please contact us by email. Registration is open for the 2019 Learn2MTB program. This is a fun and well coached program to get youth out enjoying trails and bikes! For kids 8+ at any skill level who are able to ride their bike. Coaching is provided by NCCP accredited coach. Start time is at 10 am and the riding and instruction will be about 1 hour every Saturday morning in May and June. First date is May 4, 2019. Check out the facebook event for more details. All participants must be members of the Saskatchewan Cycling Association and Moose Jaw Pavers. Membership can be obtained at the time of registration. Spring in Saskatchewan is a period of transition. We get days that feel like summer, days that feel like winter, and everything in between. TNR is 90 minutes, so you need to dress for that time period only. Check the weather before the ride and dress accordingly. In order to have sustainable trails that can be ridden most of the year, we need to be cautious in the Spring. It is easy to ride trails too early and leave a deep track that remains until late summer. TNR will let the trails dry-up and harden before being ridden. Quiet residential streets that receive only local traffic. Paved trails and some fast-drying gravel trails. Valley trails will be scouted to observe conditions. Tonight’s ride should be considered to be "easy", any bike with a selection of gearing will work. "Easy" also means that this is the ride to introduce someone to riding in Moose Jaw, bring a friend. It is also a great ride to build-up strength, stamina, and stability for when we hit the trails. Come out now, so you can perform better later. Included with a 2019 Moose Jaw Pavers membership completed before May 31, 2019, you will receive this silicon pint sized glass to enjoy favorite post ride beverage in. As a bonus Western Cycle has also provided a $20 off store purchases coupon for each glass.